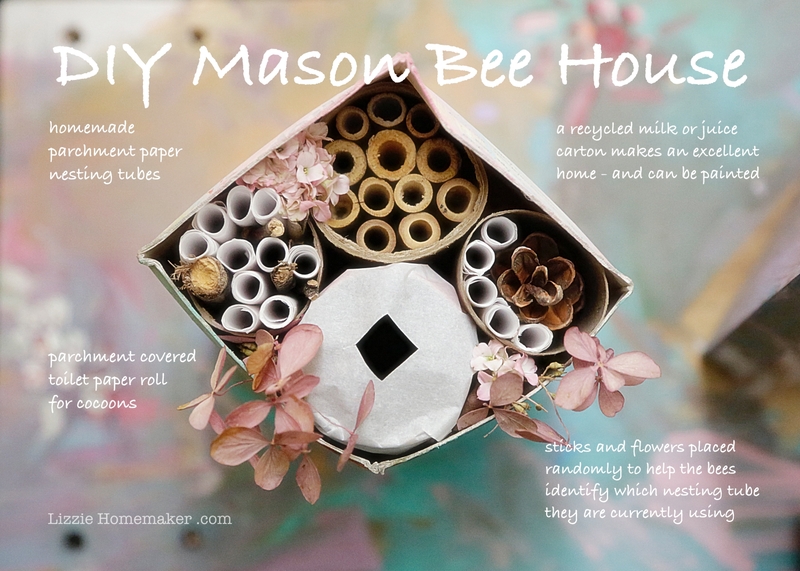 This DIY mason bee house is made with inexpensive and recycled materials. Many people are terrified of bees – and I think it’s a problem. We need bees! Pollinators are responsible for 1 in 3 bites of food we eat – and in case you haven’t heard many of them are now endangered. Want to help save the bees? Here’s a start: Raise mason bees in your backyard this spring. Unlike honeybees, mason bees are native to Canada – and they are better pollinators. A single mason bee does the pollination work of 60 honey bees. Mason bees are also a great choice of bee to raise with young children or to introduce in a school environment. They are passive, gentle bees, with no hive to protect. They’re only active for about six weeks in the spring so the time frame is ideal for those wanting a limited commitment or the ability to wrap up a project at the beginning of June. 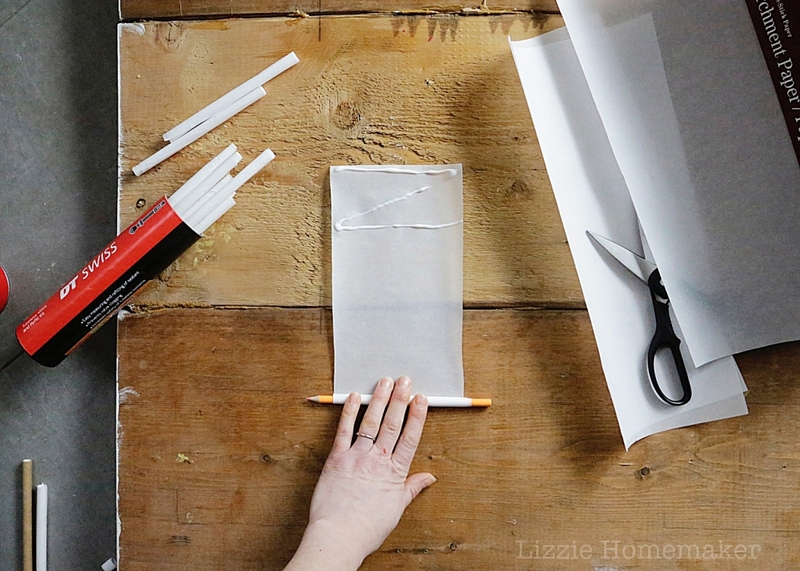 Here’s my how-to build a bee house with kids using inexpensive and recycled items. 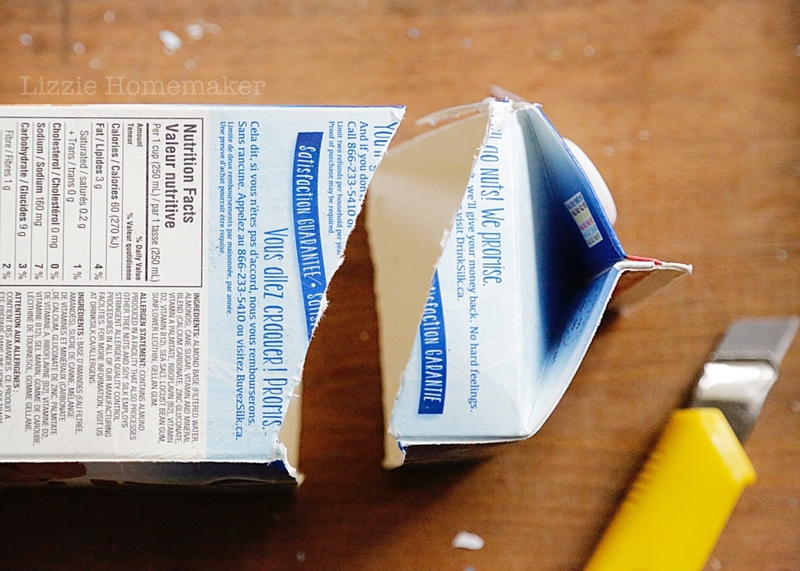 Cut end off carton at an angle to create a roof. This will help protect the nesting tubes from sun and rain. Paint exterior of carton, if desired, and allow to dry. 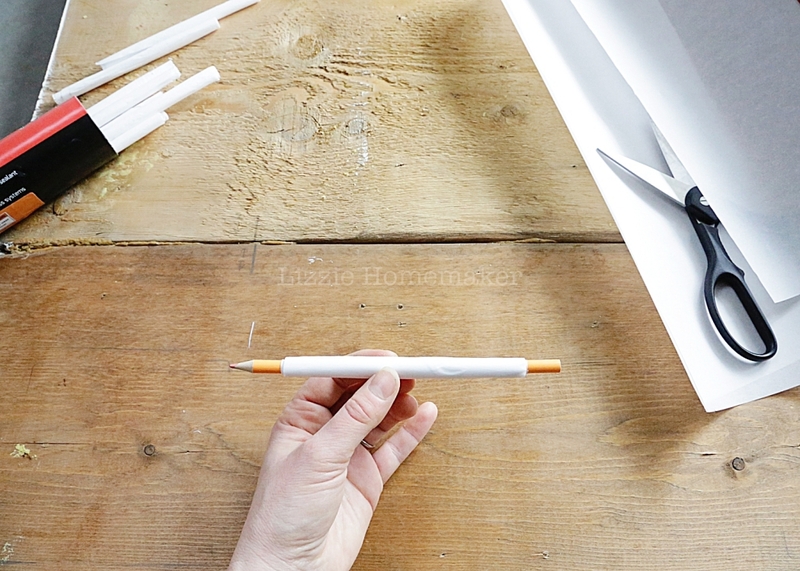 To create nesting tubes, roll piece of parchment paper around a pencil, glue at the end to secure, remove the pencil and allow to dry. Seal end of parchment nesting tubes by folding, blocking with clay, or you will need to ensure tubes are against the back of the house. 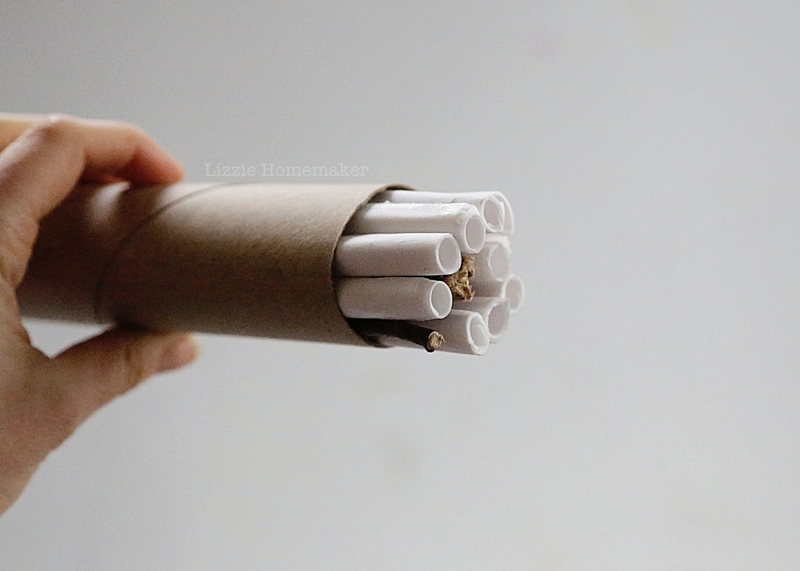 Place paper towel roll in top corner of carton. Poke a couple holes beside the roll, then thread string or nylon cable ties around tube to secure in place. You can add multiple rolls and other natural elements such as pine cones and dried flowers. We also added an empty toilet paper roll covered in parchment paper with a hole cut into it. We placed our cocoons in there to hatch. Hang your mason bee house at eye level, 4-6 feet from the ground, on a solid surface, like a fence or the side of a building. One that will receive morning sunlight and not blazing afternoon heat. Hang the house when temperatures are consistently above 10 degrees Celsius/50 Fahrenheit. Do not put the home near a birdhouse. Birds eat bees. If birds are active in the area you might like to put chicken wire or florist wire over the front of the house for protection. The bees will need access to spring flowering plants, water and mud or exposed dirt. If there are no pollinator friendly plants in the area, I suggest you plant some. 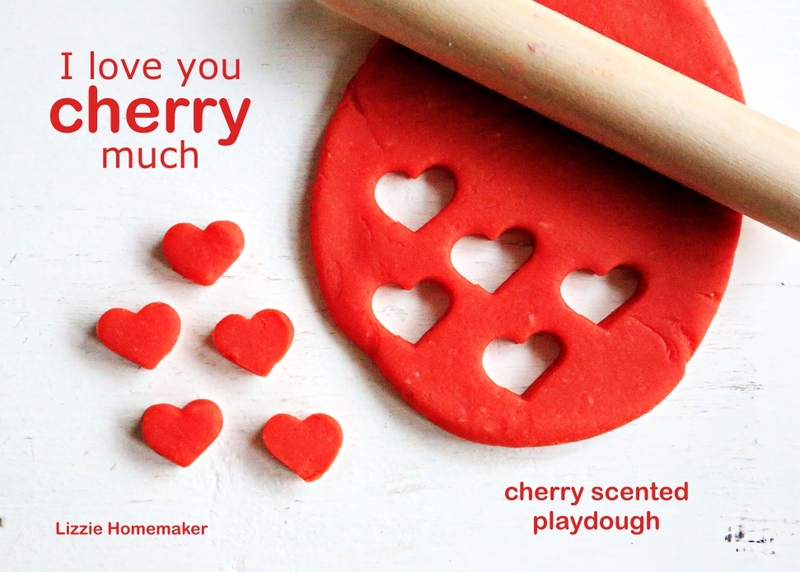 We love scenting our playdough. In fact, these days we never make it unscented. Heads would roll. Although we often add spices and kitchen ingredients to create various scents lately we have found ourselves using essential oils more often than not. 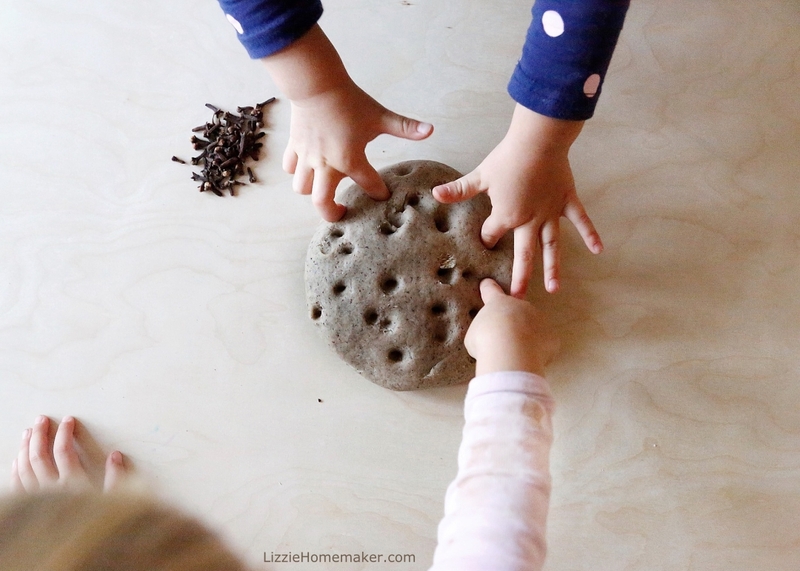 There is such a broad range to choose from and it’s so dang easy to simply add a couple of drops of oil to the dough and elevate this sensory activity. The scent of cedarwood is warm and woodsy – perfect for cozy days inside during the holidays. It is said to improve focus, relieve tension and headaches, and help with breathing when you have a cough or cold. My little ones basically have colds and coughs consistently from November to March so that last benefit really appeals to me. Cedarwood scented playdough with Christmas tree inspired loose parts. 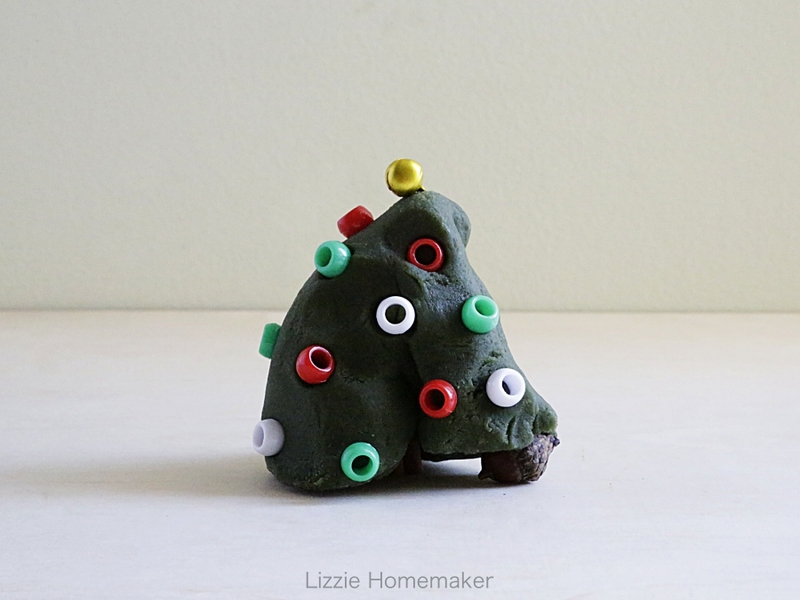 This Christmas I've been making a cedarwood scented playdough with Christmas tree inspired loose parts. I wasn't sure how the kids would react to the smell but wanted to try something a little different. The warm and woodsy scent immediately makes you feel relaxed and cozy, so, needless to say, they loved it. Mix all the ingredients, except for the essential oil, in a heavy-bottomed pot or saucepan. Remove the dough from the pot and allow to cool slightly. Add several drops of cedarwood essential oil and knead dough until it’s uniform and the oil is fully incorporated. Not sure what to do with your bottle of cedarwood essential oil? To treat eczema: Many people add a few drops of cedarwood oil to coconut oil and apply it topically. They say it is an effective home remedy in treating eczema. One of my daughters has eczema and I’m always looking for alternative, more natural solutions for treating her skin. As a bug repellant – including moths: I can’t stand mothballs and refuse to use them. For many years I have put cedar in our closets but the smell fades and it becomes ineffective as a moth deterrent. Adding cedarwood essential oil to cotton balls sounds like a great alternative mothballs – one that I am going to try this winter. To reduce arthritis: I recently sold some playdough at a craft show and was amazed that many of the purchases made were for adults, including a woman who said her elderly mother loves using playdough to combat her arthritis. Inhaling cedarwood oil and using it on your skin is said to reduce inflammation and reduce joint stiffness. Based on this, the combo of cedarwood oil and playdough is probably worth trying by those with arthritic hands and fingers. To treat ADHD: Many people site a study by Terry S. Friedman where he effectivity used cedarwood oil and vetiver oil in the treatment of children diagnosed as having ADHD (Attention Deficit and Hyperactivity Disorder). It’s promising but this case study was so small that I think this treatment should only be considered effective for some on a case by case basis. I have several friends with children on the Autism Spectrum, with ADHD, or with SPD (sensory processing disorder). 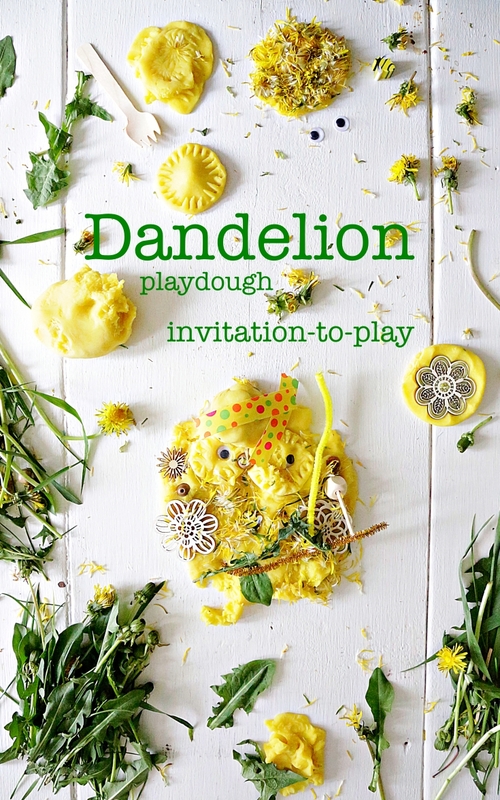 Playdough can be an effective therapy tool. 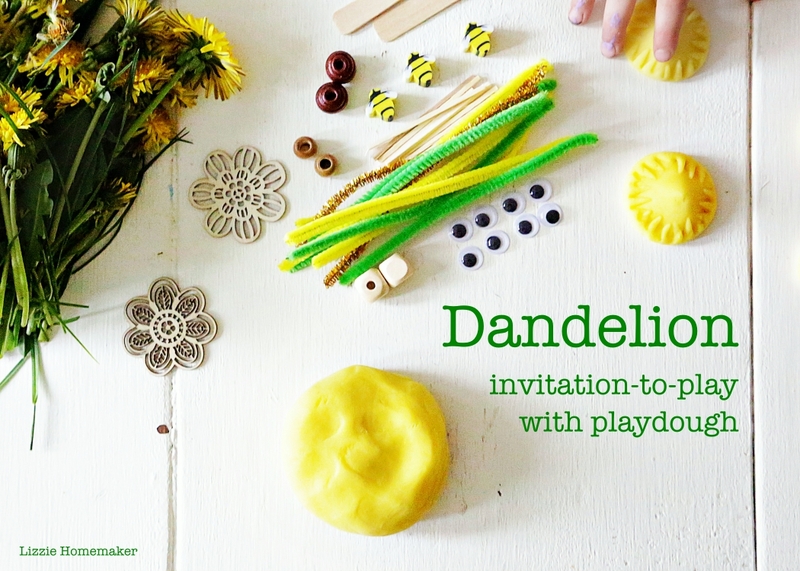 I’d love to better understand how adding scents to playdough can benefit those kids in my life. The information above is NOT intended as medical advice. I am simply sharing information that I’ve read. You should always seek advice from a qualified health care professional before proceeding with treatment of any health issue. The kids examine our mason bee cocoons before we put them out to hatch. Our family is keeping mason bees this year and we’re all very excited. We decided to raise mason bees for a few reasons. First off, it’s easy. Unlike the social honey bee, mason bees are solitary bees so they don’t live in a hive that you’d have to manage – they require almost no effort. Secondly, it’s a great hands-on educational project for the kids. In case you’re wondering, I’m not worried about the kids getting stung. Mason bees are extremely gentle creatures – they have no colony or queen to protect and male bees don’t even have stingers. Lastly, pollinators are on the decline and we need to help them flourish so that we can flourish! Since our visit last fall to the Museum of Science in Buffalo, NY, my daughter has regularly reminded me that nature doesn’t need us, we need nature: this is our little way of giving nature a helping hand. Keeping mason bees is simple. It requires three things: a home for the bees, a garden for the bees, and, of course, bees. 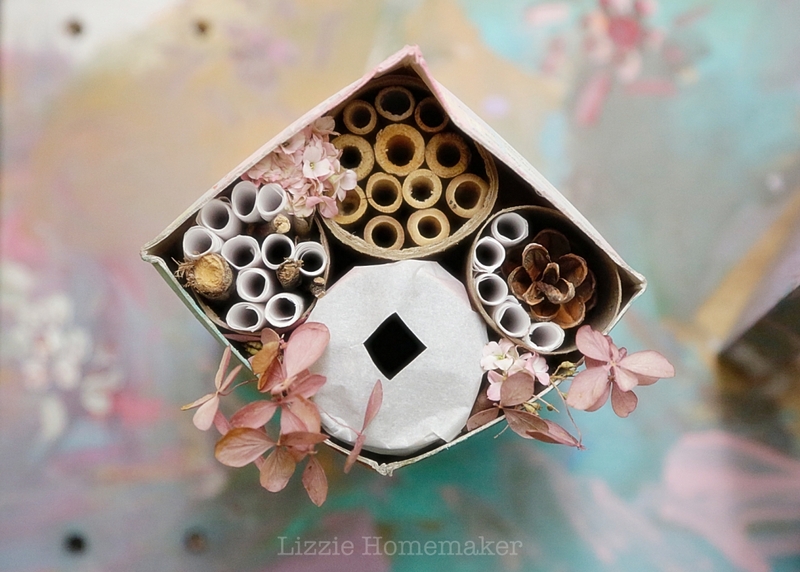 You can buy mason bee homes online or you can make one. Place the house at eye level on a south or south-east facing wall that will receive morning sunlight and not blazing afternoon heat. Make sure the house is at eye level so you can watch the action unfold! Mason bees need a garden with spring flowering plants because they are only active for about 6 weeks in the spring. They’ll need a steady supply of nectar and pollen during this time and some mud and/or exposed dirt for their nests. By June they’re done foraging and the larvae are sealed off to become cocoons for next spring. Pesticide use is strongly discouraged since its primary purpose is to kill insects. If you keep a garden you may already have mason bees but if you don’t, or if you want to watch these amazing insects from the cocoon stage onwards, you can simply purchase them online. Google where to buy mason bees. I ordered cocoons and they came in the mail. I’ve been storing them the fridge, patiently waiting for the good spring weather to come – and now it’s time to put them out to hatch! Place the bees outside in or near their house when temperatures are consistently above 10 degrees Celsius/50 Fahrenheit. You should have spring flowers blooming in the garden. You can stagger the release of the bees and put them out in a couple batches but be sure to put out a mix of males and females. You can identify gender by the size of cocoons as the males are smaller than the females. Watch the video above to learn more and enjoy! It’s really that easy. Finger painting with chocolate pudding is something the kids adore doing and it requires little effort. 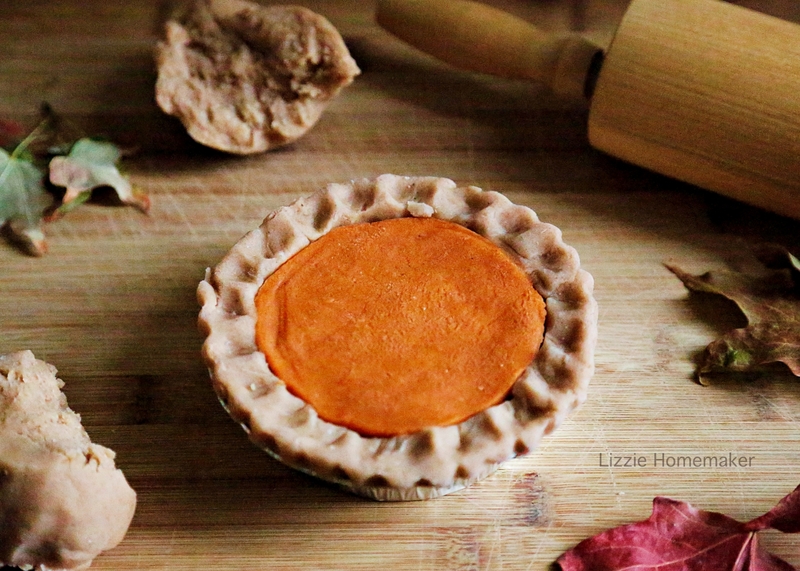 I keep a stash of pudding cups in the pantry specifically for this rainy day activity. 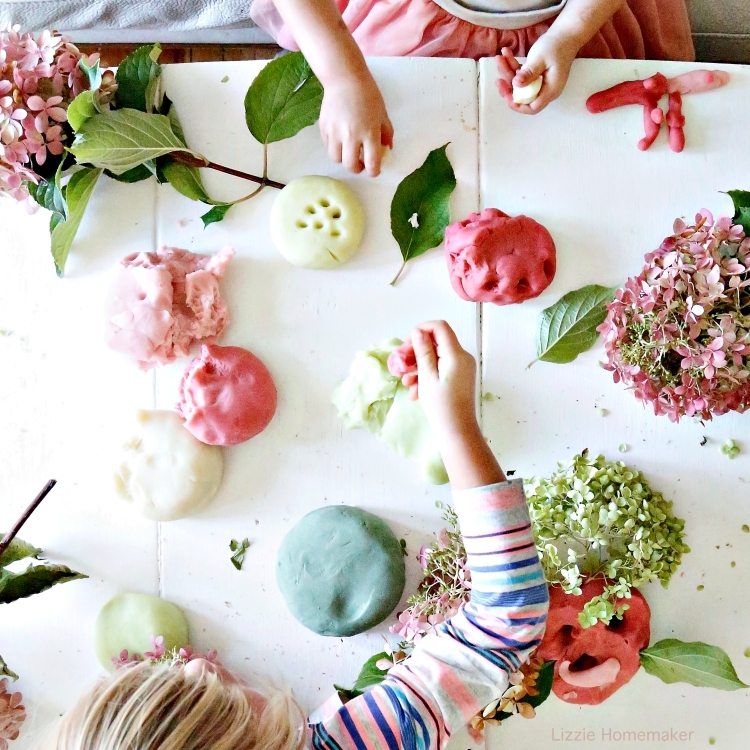 This spring embrace rainy days at home by creating a fun things-to-do list for the kids. Last week it was pouring rain and my kids couldn’t have been any happier. We’ve found the best rainy days are slow ones where we enjoy spending time together with options but no specific plans. We go with the flow and it’s lovely. Our strategy is to create a list of fun activities. We brainstorm ideas on the chalkboard in our dining room and leave the list up during those rainy weeks in the early spring, checking off activities as we go. You could just as easily write a list on a piece of paper and post it anywhere in your house, allowing the littles to enjoy a self-guided tour through the day. They may ask for help to set up activities but will spend long stretches playing freely. Having options but no plans is the best way to spend a rainy day at home with kids.